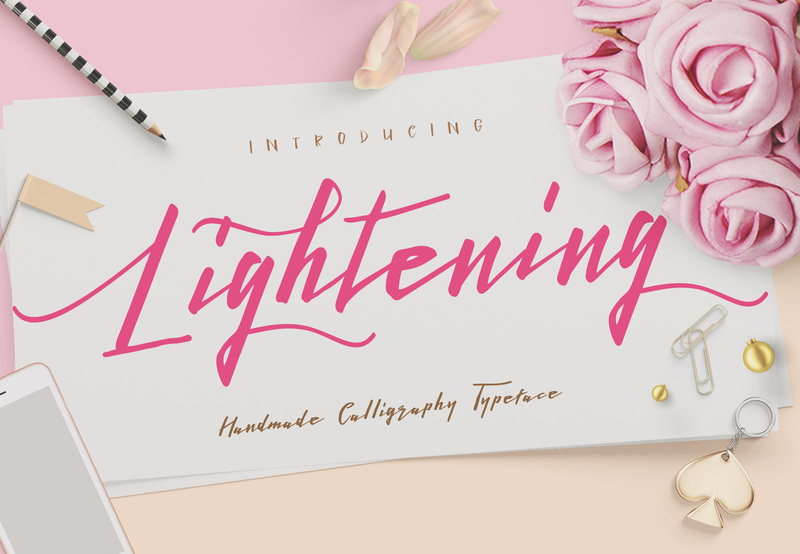 Lightening Script is a straight lines calligraphy font family created and published by Hendra Maulia, an Indonesian type and lettering artist. Consisting of 272 glyphs with PUA unicode, tons of alternate characters, Lightening Script features 3 styles, Script, Sans and Swash that can help you create unique writings and quotes for your next works. Lightening Script is shiny! A font description published on Wednesday, July 20th, 2016 in Dirtyline Studio, Fonts, Hendra Maulia by Andrei that has 2,017 views.